Here is something that's very different. 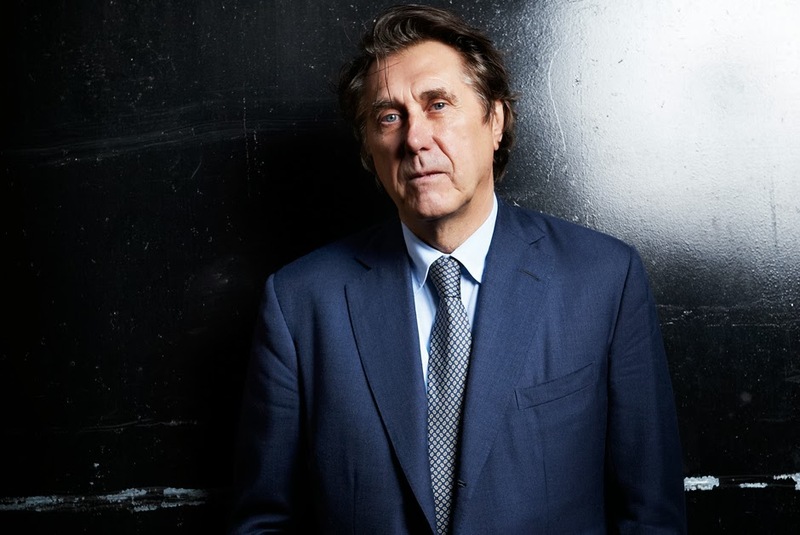 Bryan Ferry has recruited a fifteen-piece jazz orchestra to reinterpret 13 of his songs in the style of 1920s jazz. Thirteen songs from 11 different albums. 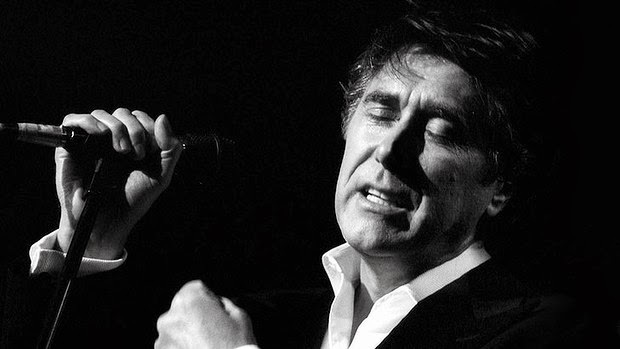 Some of the songs are familiar Roxy Music tracks; some of them are taken from Ferry's solo albums and might be less well-known. Ferry doesn't sing on the album - it's a set of instrumentals. He directed the project; and he also co-produced the recordings with Rhett Davies. "I've been listening to a lot of 20s stuff, listening to a lot of jazz and working myself backwards through Charlie Parker, Ornette Coleman, Louis Armstrong and Duke Ellington. 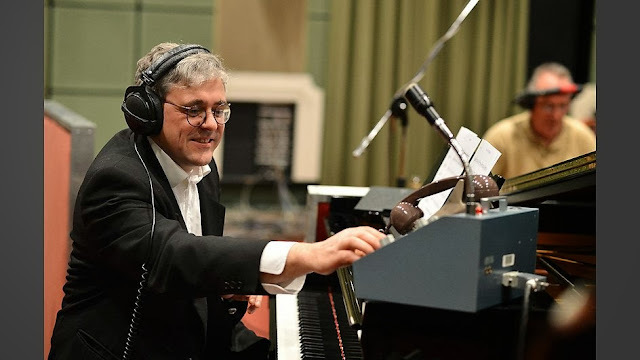 We had two main sources of inspiration for the album: one was the Louis Armstrong Hot Fives and Hot Sevens bands ... full of energy, vitality, quite earthy and funky - the more up-tempo things we did were influenced by that; the other, more melancholy, moody tracks we looked to Duke Ellington - which was a more arranged kind of music." The group of players Ferry gathered together for this project were very familiar with the style and nuances of this early period jazz. Four of them, specifically, have had extensive experience with the Pasadena Roof Orchestra (founded in 1969 and devoted to a similar style and repertoire of early jazz): trumpet player Enrico Tomasso, sax and clarinet players Robert Fowler and Alan Barnes, and drummer John Sutton. The ensemble here is called The Bryan Ferry Orchestra. It is led by Colin Good, who plays piano and did all the arrangements. Good has been working with Ferry - as a sort of musical director - for the past decade. The group is embarking on a UK tour beginning in late October. So, who is the album for? 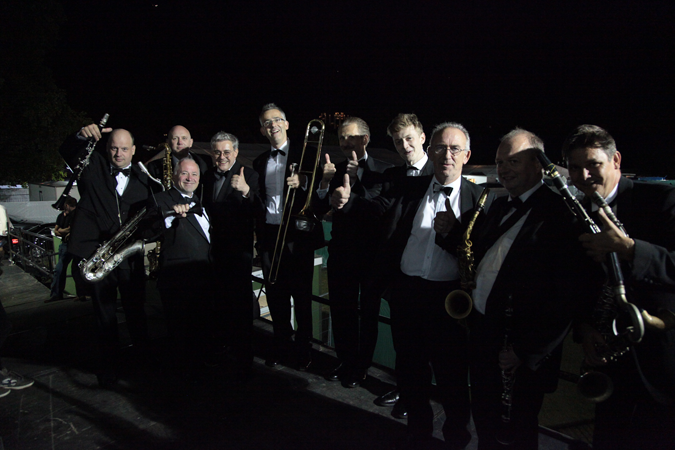 It will appeal most, of course, to fans of Bryan Ferry and Roxy Music who are also keen on the traditional jazz stylings of the 1920s and 1930s. They will enjoy the music for its own sake, but also get extra enjoyment when they recognize the melodies and rhythms of the originals. Fans of the original tracks, however, who have no love or interest for the jazz sounds of the 1920s will probably not appreciate this stuff at all. Jazz fans, on the other hand, will dig this - even those having little, or no, familiarity with Roxy Music and solo Bryan Ferry. Members of The Bryan Ferry Orchestra recording "The Jazz Age"
The size of the fifteen-member orchestra allows for a rich variety of sounds and textures: tenor, alto and bass saxophones, for example, and clarinet and bass clarinet. There is also a small string section (violins, violas, and cello) to provide appropriate background to some of the more sedate tracks. 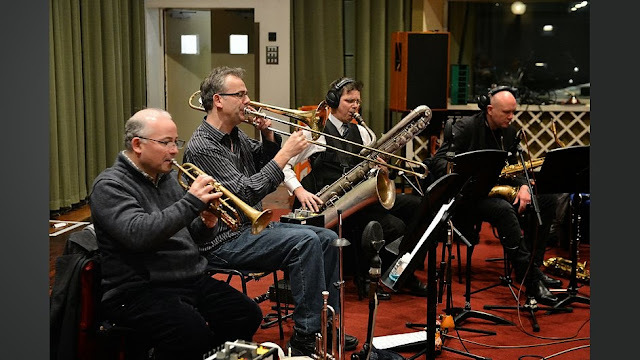 Many of the players have the opportunity to take solos; and it is interesting to hear how the arranger (Colin Good) finds imaginative ways to combine different instruments together. Of the up-tempo tracks, "Avalon" swings nicely - featuring trumpet and clarinets. And "I Thought" offers a chance for trumpet player Enrico Tomasso to shine. Some of the more laid-back, slower grooves also provide chances for different players to solo. "Just Like You" has an atmospheric bass clarinet solo from Richard White. And "Love is the Drug" features some earthy, muted trumpet sounds. My favourite track here is "Slave to Love" - an excellent arrangement, which jumps along in a syncopated groove, featuring muted trumpet, clarinets and guitar. Sheer delight. 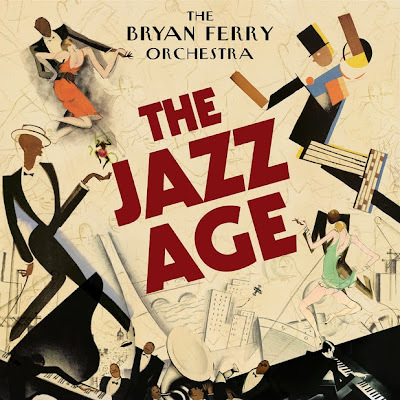 The Jazz Age was produced by Bryan Ferry and Rhett Davies, and recorded and mixed by Rhett Davies and Simon Willey. The music is presented in mono, and they have narrowed the frequency response. Both moves serve to give the music an authentic 1920s sound. But it would also be great to hear this stuff presented with a full dynamic range and in stereo. The album, after all, only clocks in at 37:49 - they had space on the CD to include both versions. Why not? The Jazz Age was a great idea for an album. And the concept has been delivered in superlative fashion. It is an eminently listenable collection - but only if you like this type of traditional 1920s/1930s jazz sound. And if you're also a big Ferry/Roxy fan, this CD will definitely appeal. Check it out. My favourite Jazz c.d. is Benny Goodman's Carneigie Hall Concert of 1938. I bought the vinyl in the 60s. Then the tape and after the c.d. Then came 'Jazz on a Summer's Day' the movie of the 1958 Newport Jazz Festival which has finally been issued as a dvd, Stars: Thelonius Monk, Anita O'Day, Louis Armstrong, Mahalia Jackson etc. one feature is Sweet Georgia Brown like you never heard it before. Thanks for your blog. We are Brian Ferry fans here. Roxy Music were a great band. They created a brilliant new style. They combined the use of the saxophone , which is primarily a jazz instrument, with with driving rock rhythms. "Love was the drug!!!" I've always liked Bryan Ferrys voice too.. It's different. I chill out to Miles Davis's, Kind of Blue,the ultimate chill out album taking you to places you've never been to before. I might actually get hold of this album, Clive. Thanks.